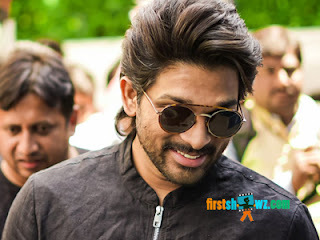 Stylish Star Allu Arjun will be back on big-screens soon with Trivikram directorial, and meanwhile here is the latest news that the actor will be seen in dual roles for the first time in Venu Sri Ram directorial titled Icon. Yes it's going to be the first time ever for Allu Arjun playing double role. Sources from inside are abuzz that the director Venu Sriram has etched both the characters quite well and it's going to be a treat to audiences. It will be interesting to see how Bunny essays these double roles. Dil Raju is producing the film on Sri Venkateswara Creations banner. For now Allu Arjun is gearing up to join the sets of Trivikram directorial, where the regular shooting is set to begin from April 24th. Followed by this, Bunny also has a film with director Sukumar. It is only after these two flicks the stylish star would be joining Venu Sriram movie.